Waechter Architecture Teaches Graduate Studio on "Clarity"
Ben Waechter and Emily Kappes are currently co-teaching a graduate-level architecture studio at the University of Oregon’s Portland campus. The studio is part of the foundational program for Master of Architecture students at UO and is focused on the role of clarity within the built environment. The studio continues Waechter Architecture’s own exploration into clarity, investigating the forms and organizations that allow individuals to better understand the elements in the world around them. Through a series of models, students are working to articulate concepts in three-dimensions and to distill their ideas into a design for a Japanese Sento Bath in Old Town, Portland. 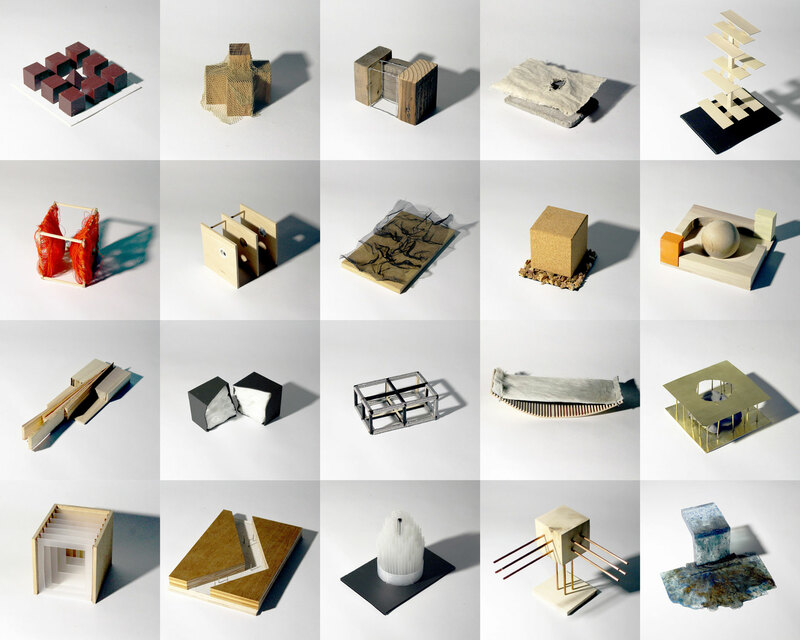 Pictured are just a few of the dozens of exploratory models already produced by students in the first few weeks of studio. The final review will be held on December 1st, 2017.